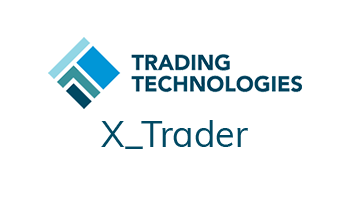 A popular product among our professional and institutional traders, X_Trader® by Trading Technologies™ is a sophisticated platform that satisfies the “need for speed” from our most demanding electronic clients. X_Trader® also offers a number of unique features. X_Trader® with a Pro license features all of the popular functions of X_Trader® with added advanced capabilities and automated tools including: TT’s Autospreader® and Autotrader™. Other features available with X_Trader® Pro version, include*: X_STUDY®, ADL®, TT API | FIX Adapter, Algo Strategy Engine (Algo SE), Autospreader Strategy Engine (Autospreader SE) and Synthetic Strategy Engine (Synthetic SE). PLEASE NOTE: A minimum account size may apply. Please contact our office for further details. Do not use satellite broadband due to significant latency problems. *All features mentioned included at no extra cost for accounts with AMP Clearing (available for both Transactional and Monthly Subscription pricing options). For accounts cleared with RCG and Wedbush, additional charges may apply. Please contact your broker for further information. **X_TRADER® fees are exclusive of any applicable taxes. Tax is based on the physical location of the user. Contact information is only used to respond to your inquiry, and will not be given to any third party. By submitting your information, you confirm that GFF Brokers may contact you to provide information on its products and services. I consent to having GFF Brokers store my information so they can respond to my inquiry. Need broker assistance or guidance on platform offerings? Sun. 2:00 pm PST – Fri. 3:00 pm PST. There is a substantial risk of loss in trading futures, options and forex. Past performance is not necessarily indicative of future results. Margins are subject to change at anytime without notice. All material herein was compiled from sources considered reliable. However, there is no expressed or implied warranty as to the accuracy or completeness of this material. Published testimonials have been provided by individual customers. Testimonials regarding past performance are no guarantee of future results and may not be representative of the experience of all other customers. Web page translations have been provided electronically by a non-registered third party. We are not responsible for any incorrect translations. GFF Brokers does not endorse any third party sites or links, unless specifically stated by GFF. Links to GFF from a third party website should not be considered an endorsement by GFF or any of its employees. The products and services offered on a third party website linked to GFF are not offered or owned by GFF unless indicated, and GFF cannot attest to the accuracy of information provided by these third party websites. When advertising on third party websites, GFF will not be responsible for the content of other advertisers or the content of the third party website.